The company is owned by Anik Singal who is a digital marketer for more than 13 years. He formulated and mastered a digital marketing technique that made him millions of dollars on a constant scale. Now he is giving back to the people by sharing his craft to help others make a successful digital marketing business. Lurn.com offer subscription-based and free affiliate marketing courses that are suitable for beginners and experienced digital marketers. Each training package contains a step-by-step easy to set up guide, latest online marketing tools, and motivational instructions to help you hit the mark. So what are the advantages and disadvantages if you sign up for this service? Let's find out. Convenient, inspiring, and easy to understand courses. It will give you a perspective on what are the challenges that you are going to encounter and how are you going to come out golden. If you are not satisfied with the program you can get a refund. The terms will vary depending on the course that you had chosen. The course is suitable for everyone that want to explore digital marketing, dreaming of financial freedom, and people that want to convert their passion into money. They offer courses to help boost your entrepreneurial mindset, launch an effective money-making email marketing strategy, and a proven technique to help you maximize the profit that you can get towards information. The training courses are absolutely newbie friendly so no worries about that. You can quickly cope with the easy to follow instructions provided in each module. Future of Wealth – They stopped enrolling new students for this course. Inbox Blueprint – lets you fully automate email marketing. The price may vary depending on the package that you wish to acquire. Publish Academy – a great resource for digital marketers who are up to the challenges and equip themselves with the latest techniques to hit the mark. You can get it for free by signing up with a valid email address. Later on, you can opt for the subscription-based services that they offer for this package. Have you had experience with LURN? I would love to hear what your experience has been – use the comment box that follows. I had never heard of Lurn before. It sounds like it’s rather pricey for what you get, although being able to sign up for free is a plus. Do you have to have a credit card to sign up? If their support is not that great, then it might be pretty frustrating for a newbie who needs more help. Thanks for an interesting review. Hi Carol thank you for your comments and question regarding whether you need a credit card to sign up. You would indeed have to have a credit card to get started with at least 2 of the Lurn courses. I have signed up with LURN. I am still going through the training and am blown away. Anik gives you so much. This is the first program I found where they teach you the how to, properly. I have found their support team to be great so don’t know why you say it’s not good. Hi Debra! It’s true that the LURN programme can offer a great programme to those who can AFFORD it. It’s pleasing to know that you are blown away with the training. It is also true, there are other programmes that you can start for FREE who show you step-by-step the proper way, using multiple strategies, not just email marketing. It’s true that I was’nt impressed having to wait for someone to support me with an issue. WAITING can cost me buisness. Imagine how your business can be affected if you had to close your shop door, waiting for support to arrive. So yes, it was something I had to consider. I wish you every success Debra. Hi Debra, I an considering this as well. I have a call set up for Monday and I am attending the free online workshop this morning. Have you set up your business yet? Have you seen monetary returns at this point? I have seen various things like this over the year, but it can be tough decided what is real and what is not / what is worth it and what is not. There are a lot of programs available for online businesses similar to this. I do like what I have seen so far, but I am taking a realistic approach and trying to gather data and experiences from other users. Would you mind sharing your experience more as you are relatively new to this too. Great review, never heard of this Lurn before. I am going to check it out. Why is the customer support bad? I’m asking because that will be a big con for me. Keep on going with these reviews, they are very helpful. Especially for people who don’t really know the online course world. Thanks for visiting, perhaps it’s a lack of understanding of what users might be going through especially newbies and the support needed. I myself searched high and low for the support I knew I would need if I was going to dive deep into the world of owning a business earning online. Well, it’a good thing that once in a while I get to read some legit programs online. Though this is too pricey for me. There are some world class internet marketing course that I could get at a much affordable price. The one that I’m into only cost a fraction of this and abundant of resources. And it’s called Wealthy Affiliate. Thank you Kenny for stopping by. Yes your quite right about outstanding internet marketing courses, inlcuding Wealthy Affiliate, that are much more accessable especially to those who have lean pockets and still have great success! Can you give me any reviews of the Lurn Masters workshop and claims that the 5 day intensive training fast starts your online business. Any insight would be appreciated. Thank you Randy for your request regarding the Lurn Masters Workshop. Otherwise, you must make an application so there is a SELECTION process. After you submit your application, if they FEEL you are a good fit for this program, they will reach out to you. In regards to pricing, following up on your application, or any other inquiries for Lurn Masters Workshop they recommend you contact them directly. The next workshop will be Oct. 18-22, 2017 and will be hosted in Baltimore, MD. It’s good to hear that there are legitimate online training programs available. There are so many scams that it is easy to get into one for “free” only to find out that you have to pay and pay to actually get any real training. However, when I got to the cons section it seems to me that Wealthy Affiliate is a better program for a lot less money. Wealthy Affiliate costs a lot less for all-inclusive training and a huge cooperative community of support. The video training is far more useful than Powerpoint. WA takes newbies through to fully trained entrepreneurs with nothing held back for additional cost. Well done review, thanks and keep up the good work. Thanks for the comments and yes I agree! Hello, great review. I have seen this guys before when looking around at different marking programs. He sounds very knowledgable and convincing. I think he is also very reputable. The big problem for me is the huge price tag.I mean there has to be a cheaper way to learn about affiliate marketing. Maybe his courses are so good that a high price is justified. If he can teach something that will profit me for the rest of my life, then he deserves the $3000. I’m not totally convinced on this product because I haven’t seen many reviews about it. 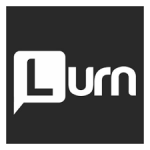 Thanks for sharing this review and giving me an idea about Lurn. Hi Angel! Great to have you call by and for your thoughts. I had not heard of Lurn before. I don’t know that I would pay for this information. There seems to be a wealth of information on the internet, that one can get totally free for looking. I do like your ranking #1 pick though. I did look at the link, and I have done some investigation, and this one looks 100% like a good choice for me. Thank you so much for sharing! From what I’ve read in your review the prices here are very expensive and hyped turning me off immediately. Do you know anyone that has signed up to this course and gotten good results from it? It would be nice to get an in depth review of what they have to offer and see if its worth all that money. Thanks for letting me know about this though. Hi Michael so glad to have you stop by and for your comments. People are successful in Lurn as long as you put the work into your business and you want to pay that much for the training and tools. Others though are paying far less to have the same success. Paying an excessive amount does not equal success or even the same success as those that cost far less. The right TRAINING, SUPPORT, TOOLS and your efforts WILL though, take you a long way. Hello Banji. My apologies for this issue. A team member is currently working on it. In the meantime to GET started and registered click here… It takes no time at all to get going. After all conversation I came to know about the price. For virtual platinum course their normal fee is $12000. They discounted it to $8000. I am quite skeptical to spend such huge amount on coaching. So not decided yet, weather to go for it or not? Hi PKay! Great to recieve your comments so thanks for posting PKay. Wow! 12k is a lot to part with if you do decide to go ahead and pay for their virtual platinum course. Can you afford to lose this money if it does’nt work out? Or put another way, how much are you PREPARED to lose if it does’nt work out? How long will it take for your web-based business to RECOUP the 12k and start making a profit? Can you afford to wait? PKay, I’m not expecting you to answer these questions for me, but you need to ask yourself these questions crytically and for your benefit. MANY, many online affiliate marketers have NOT had to pay anywhere near that amount, in FACT, many have started for FREE and were making a profit in under 2 months – I’m one of them. I’m happy to explain to you how I did it! Have you read all of my top reviews? The offers vary greatly, and it really pays to look at all of them closely. I’ve been trying to start an internet marketing business for over a decade now. Everytime I start, something goes wrong in my life to halt the entire process. I am going to try one last time, but I need the right program for under $2,000. Any suggestions? I only have one more chance to make this happen. Thanks in advance. I was in a similar situation as you when I first started out too! Not knowing anything apart from understanding that I would need a website. My life was also packed with unexpected distractions so I knew that I would need something that was flexible. Something that I could work on when I had the time…or leave to the side if needed until I could get back to it. It would also have to be something that would teach me the proper way to build a wed-based business from scratch. Does this sound familiar? Well, I searched the internet for a few months and tried this and that, but nothing was quite hitting the mark until I came across Wealthy Affiliate. In the meantime, I had become sceptical about which online business hosting platforms would meet my needs. But the neat thing about Wealthy Affiliate was I could TRY it for FREE…Hold on to your 2k! There are also loads of members there with the expertise to help…and they ALL want you to succeed! Awsome ay! So Julie give Wealthy Affiliate a try, NO credit card required. Wow, seriously?! I didn’t know there was anything that was free out there or I would have already done that! I began this quest for an income thru online marketing literally years and years ago but when my husband teased me about it, I was stupid and quit researching and looking for the right company. I never shoulda listened to him or listened to any nay sayers, because I know, in my heart of hearts, had I kept going the way I was, I would have ended up being successful long, long ago. Thank you for the info and I’m going to take your advice right now! I really appreciate you taking the time to reply! I’ll letcha know asa I’m actually a success at it! I’m somewhat skeptical because the internet is awash with various fraudulent schemes. Many Indians have tried to scam me. I need to be convinced it’s not another scam or ponzi scheme. Hi Hope! Sorry for the delayed response to your comment, but I was off line for over a week due to circumstances beyond my control. However, I’m here now and thank you for your comments. Yes it’s unfortunate but true that there are many online scams, across the board to be aware of… When I started I took my time to do the research and in the end decided that I wasn’t going to part with my hard earned money to any of them. But then I saw that Wealthy Affiliate was actually offering to let people try their platform, and start the training, for free. So I thought that I should take alook since I had nothing to lose. This is what got me started and I am so glad that I got to try thier training and be part of the community without the risk of losing money. It was a win win situation.